As many of you know from my site and research, I always aim to be open and give as much information as I can to others with eczema. My purpose in writing this guide on steroid creams and eczema, is to help others who are currently using these creams, and are looking for alternative methods, or if you want to stop using them altogether. If this sounds like you, then you’ve landed on the right page! I also update this post regularly, as new information about eczema and steroid creams comes up. What’s in this online guide? 1) What are steroid creams? – Why/when should you use a steroid cream? – Why/when should you should quit topical steroid creams? 2) What should you expect when you quit the creams? – How long do the side effects of topical steroid withdrawals (TSW) last? 4) Can you come off creams slowly? I’ll also share my experience throughout this post, and perhaps you can also start to see yourself in my story. My family has a history of eczema. My father had it when he was younger, and a few of my older siblings experienced breakouts when they were younger too. So, when I developed eczema at a young age, it didn’t come as much of a surprise. Like many of you reading this now, I started using steroid creams since the very beginning of my breakouts. Naturally, since I was a child, the pediatrician put me on a light steroid cream (hydrocortisone .1%) and I was told to use this until my eczema went away. To be honest, in the beginning the .1% cream DID work. It helped my eczema go away, and so I continued to use the cream periodically whenever I would break out. However, years of steroid cream usage didn’t go without consequence. Some time after I turned 18, my regular creams just stopped working. It was so weird and unexpected that I went to my dermatologist to ask what was happening! Unfortunately, they didn’t have any answers. I was told that my eczema condition had “worsened”, and the only way to make it go away was to simply use a stronger cream. At the time I wasn’t giving it much thought, and perhaps like you, I wasn’t really thinking of the long-term. All I wanted was to be able to meet people without feeling self conscious, to go shopping with my best friend and not be embarrassed, to finally get some SLEEP so that I could finish my studies and not be itchy! All I wanted was for my skin to be clear… does this sound like you? What are topical steroid creams? Before moving further, I want to give you some information on what exactly steroid creams are and how they work. Topical steroids are creams, ointments and lotions which contain steroid medicines. They are sometimes called corticosteroids. They are used primarily for various skin conditions including eczema. 1) By reducing inflammation. It does this by switching off pro-inflammatory immune factors in our skin. 3) Reducing redness and swelling. It does this by constricting the blood vessels in the skin. The benefit of using a steroid cream is that it can help with reducing the inflammation, and stop the swelling and itching. Basically, it can help you manage your eczema symptoms. When should you use a steroid cream? Because of the steroids, topical steroids are not meant to treat eczema long-term. As a general rule, you should only use topical steroids until the flare-up has completely gone and then stop using it. The side effects of steroid creams can be found at the back of the cream, or in the box that comes with it — check yours! However one other consideration here (which you might have already guessed! ), is that because eczema tends to last more than a couple of days or weeks, the majority of us tend to fall into OVER-USAGE of the creams. Sure, if you use it once or twice, or even for the intended amount of 7-14 days, your skin will most likely repair and get back to normal — However for some people (as their eczema persists and they continue to use), the steroid cream can wear the skin and begin to alter the functions of certain immune cells, that start to damage and impair your immune system. Studies have shown that these alterations to the immune system, makes our immune system weak, and could result in us contracting other allergies. In fact, if you have a cream now, you can actually see this written at the back or with the piece of paper that comes as a warning label. Lastly, there is one other dangerous side-effect that isn’t written at the back of the creams. To explain what this is, let me go back to my story. Once I turned 18, I pretty much started to use the creams every day. Fast-forward years later, I began to notice that on the days that I DIDN’T use them, my skin would break out. Below is a photo of me at the beach, on this trip I had forgotten my cream and didn’t have it for 2 days. Almost instantly, the eczema on my knees (that I had been managing with a cream), started to break out! It was weeping, crusty, red, and inflamed. It was painful to walk and touch! Even the picture doesn’t do it justice to how red and weeping it was. My ankles also broke out painfully and I couldn’t walk for days. Now I didn’t know it at the time, but what I was REALLY suffering from was called topical steroid withdrawal symptoms. I’ll be explaining about that in a bit, but basically what happens is that your skin gets so used to the steroid, that it becomes hard to manage your eczema without it. Most of you have probably been in this situation: as long as you use the creams you’re fine right? But…as soon as you stop them you’re screwed! • This is one of the biggest flaws in the way society currently treats eczema, because what most don’t realize is that your skin is in fact, an organ. And like many other organs of your body, it has the potential to become dependent on a substance, to the point where it requires a stronger substance in order to see results. You can start with a small dose, but eventually your skin develops a tolerance to the drugs, and starts to need more, stronger drugs in order to get the results. 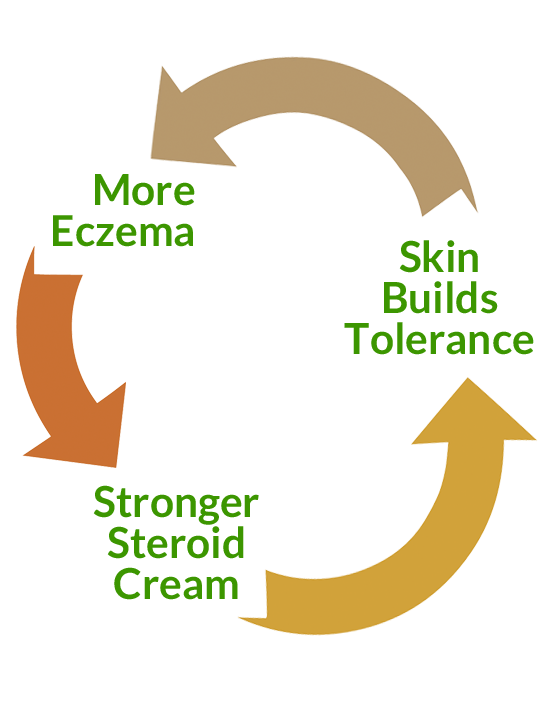 This leads to something I like to call: the steroid cream-eczema cycle. Then you get a stronger cream, but because it TOO is only designed to work for X number of days, you soon need another one…and another…and another! It’s a viscous cycle, and this traditional method of using a steroid cream, could ironically set us up to use steroid creams for the rest of our lives! When should you reduce topical steroid creams? Steroid creams aren’t meant to work long term: they only mask the symptoms. Additionally they can also impair the skin leading to the steroid-cream-eczema cycle where you ALWAYS have to be using a cream! In my case, I had almost all of the above symptoms. My eczema wasn’t getting better, even with stronger creams. My skin was highly sensitive, and I whenever I would try to stop using my cream (even for a couple of days! ), my skin would break out. Steroid creams were obviously not helping, and I knew I had to make a change and get out of the cycle. What should you expect when you quit the creams? 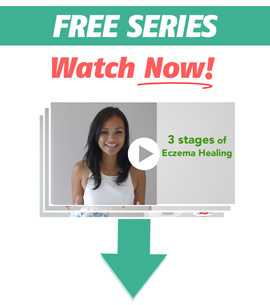 If you experience the above symptoms, and you want to quit the steroid creams and clear your eczema without them, then first of all, congrats! This is a big step to take, and I’d like to help you on your journey by telling you what you can expect. The first thing almost everyone goes through is called topical steroid withdrawals OR for short, TSW. Topical steroid withdrawals (TSW) might catch you by surprise, as they occur about 2-3 days after you stop using steroid creams. If you’ve been using creams for longer than a couple of months, your skin has most likely becomes used to having the cream. Because of this, it is NORMAL to experience withdrawal symptoms when you stop using them. In the medical world withdrawals are well-recognised (as we know from long-term alcoholics who try to quit cold turkey), and they usually have a rebound effect. Keep in mind that every case is different, as it depends on each person’s skin. Some people may only experience very mild symptoms, while other’s may be more intense. How long does the withdrawal stage last? The withdrawal symptoms will depend on how long you’ve been using steroid creams and the strength of that particular cream. Take a look at the chart below and see if you can find your cream. This is a list of different types of steroid creams and their range. Class 1 (most potent) to Class 7 (least potent). In my case, I used steroid creams for 12+ years, starting from when I was young at Class 7 — the one most commonly prescribed for children. Growing up, I was prescribed more potent steroids, going as high as Class 4. 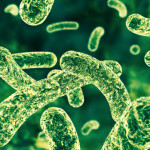 My withdrawal symptoms lasted about 16-weeks, until I started to look into the gut-skin connection which changed my life! However, keep in mind that my overall health and diet was really bad when I first stopped steroids. I was still eating a lot sugary and inflammatory foods (like pizza, beer, cheeseburgers, ice-cream etc. ), and I still didn’t know what was causing my breakouts. I was also still using average soaps and shampoos that contained harsh eczema irritants. In short: I was doing everything I wouldn’t advise you to do! Of course, this also contributed to a slower healing time. After reading this, you might come to the conclusion that “The sooner you quit the creams, the less damage you’ll do to your skin in the future!” This is true. AND if you do it the right way, you can make the TSW symptoms pass a lot faster! I learned a lot going through TSW and healing my eczema naturally, so below I’ve highlighted some of the things that I found most important to have and know during this time. By following the below steps you’re going to make your transition smoother and faster! Have a coach or support. This is an extremely important aspect, and honestly not talked about enough in the realm of eczema. When you first quit using creams and start experiencing withdrawals, the mental feelings hit you as hard as the physical feelings! This doesn’t mean there’s anything wrong with you, it’s just simply because depression and anxiety are symptoms of withdrawal. Dealing with the side effects can be hard, and it’s even harder to deal with it by yourself. Having a support system and knowing what to expect is going to increase your chances of succeeding! Talk to one of your closest friends or a family member who knows about your problem. Ask them if they wouldn’t mind supporting you emotionally as you go through the withdrawal symptoms. Even just venting to them once or twice a week can help you feel better and get the pressure off your chest. You can also look into joining eczema groups or forums to vent or to get emotional support. Find out what triggers your breakouts. A common misconception that most people have, is that they can stop steroid creams without finding what triggers their breakouts. THIS IS A MISTAKE! If you do not find what triggers your breakouts, then you will be breaking out all the time: with and especially without steroid creams. Finding what triggers your breakouts is crucial to healing and I cannot stress it enough! If you don’t know what triggers your breakouts and what you should stay away from, your eczema won’t get better and the symptoms will be worse. Eczema is almost always a symptom of something deeper, and taking care of the root problem should be the priority. When I first stopped creams, I wasn’t taking any REAL steps to improve my immune system or gut health (two of the things necessary for healing eczema), and I also didn’t know what was triggering my eczema breakouts! I think this is the biggest reason for why it took me so long to come out of the withdrawal stage, as I probably set myself back so many times and made my eczema flare-ups worse. Have a clear eczema plan for yourself, focusing on getting to the root cause of your problem. Really think about what could be triggering your breakouts, or take an allergy patch testing to find out what you may be allergic to. Make a plan to improve your diet, daily regimen, or work with a health practitioner or your doctor. Once you know what you want to do, lay this out clearly for yourself, and follow through. When you go through TSW, your skin may be highly sensitized from stopping the creams. If so, it’s best to switch to natural moisturizers that don’t contain harsh irritants such as parabens, nickel, dyes, synthetic fragrances, and alcohol. You should also look into your household items such as laundry detergent, soap, shampoo, hair dyes, cosmetics, make-up, etc.. Make sure these don’t contain any harsh irritants, as these can worsen the TSW symptoms. When you go through TSW your automatic feeling is going to be to want to do as little as possible. That’s understandable, but your body NEEDS activity in order to feel better. When you’re just sitting in your dark room or lying on your bed with only your feelings, it’s hard to not feel sad as you dwell on your condition. When you feel this way, the best thing you can do is MOVE! Go for a walk around your house, at a nearby park or in the neighborhood. If you can’t go out, do some online exercises or yoga inside instead. By moving you release endorphins and that will make you feel better almost instantly! This is quite important, and very easy to do. Every time you make a conscious decision to make a better choice, whether it be food or just avoiding steroid creams, give yourself a pat on the back and treat yourself! The TSW process doesn’t have to be agonizing, it can be as rewarding as you make it. Don’t wait til “the end”! Every day that you go without steroid creams, and every day you take steps to heal your gut, you should be proud and reward yourself for it. It doesn’t have to be extravagant or expensive! Maybe just give yourself 20 more minutes of sleep in the morning, soak in a soothing bath, eat some chocolate, have a delicious meal: it doesn’t matter what you do! The more you physically acknowledge that you’re making a change, the more encouraged you will feel to continue. The EASIEST way to stop steroid creams? “I don’t want to go through withdrawals! How should I stop steroid creams?”. This is a very good question, and understandable as steroid withdrawal symptoms can be difficult, and some people simply cannot stop steroid creams that easily. If this is the case for you, then check out my video here! I give 3 TIPS on how to stop steroid creams easily. Will my eczema go away if I just stop steroid creams? I have recently updated this article, because after reading through the comments, I think there is a big misconception that simply stopping steroid creams will “cure” your eczema. The truth is, eczema is often a cause of something deeper, and if you don’t address that, then you will still have breakouts with and (should I say) ESPECIALLY without steroid creams. For example, let’s say you used steroid creams for 10 years. You stopped 1 year ago and went through the normal withdrawal stage where the skin rebounds for a few weeks after not receiving its medication. So if you still have “eczema breakouts” what does this mean? Well, one possible cause is that you haven’t addressed the ROOT cause! Addressing the root cause of your eczema, and finding what is triggering it (whether that is in food, or outside) is the only thing that will stop your breakouts from happening. For example, let’s say you have a food sensitivity to milk protein, as is common in about 30 percent of eczema sufferers. While eating milk protein may not kill you, it could be a possible trigger for your eczema breakouts. 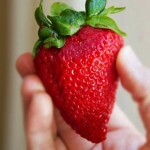 Now if you stopped steroid creams and STILL continued to drink milk and eat yogurt…. well then yes, your eczema is going to go out of control! Especially now that you no longer have a steroid cream to control the inflammation symptoms. This could be why many people report their “withdrawal symptoms” getting better AFTER they change their diet (many eczema sufferers are sensitive to food), or after changing something in their environment. Some suggest that it’s not their “withdrawal symptoms” but rather that they finally dealt with the root cause of their eczema, so the breakouts stopped happening. It’s for this reason that I suggest my members to stop the eczema triggers FIRST, before stopping steroid creams. In conclusion: you can clear your eczema without the use of steroid creams! I sincerely hope this guide has helped encourage you to get to the root cause of your eczema, and not soley rely on steroid creams! After I took active steps to improve my health, and learned about what triggers to avoid, my skin started to heal! The breakouts on my knees (above) and other parts of my body stopped, and I was so grateful not to have to use a cream for any of it. That’s why I want to share what happened to me with you! Just by knowing what to expect and following the above strategies you can make the process go a lot smoother, easier, and faster! Most of all, you’re going to get the skin you want, and be happy and proud of yourself for doing it. If you just stopped steroid creams, hang in there! You’re doing the right thing for your skin, and it IS possible to be cream free! Are you looking to stop the steroid creams? How has your experience been? Leave me a reply below, I’d love to hear your story! If I’ve been using Class 1 steroids for a month straight, how long do you think I’ll be going through TSW? I’ve been using Clobetasol cream for seven years. I use approximately 2-3, 60 gram tubes per year. This last year I’ve used How long do you think I’ll have TSW symptoms? Since August of 2014 I’ve used 90grams, sometimes on large areas of my body and on broken skin. Is anger or rage a symptom of over use? I have some skin discoloration around my arm pit area. I’ve had eczema since birth (42 years) and had only taken over the counter cortisone until I started using the clobetasol. Any advise or help would be greatly appreciated. Thank you. Hi! It’s me again. I planned to quit using steroids last month, but couldn’t since I had to go to school. Now that I’m on school vacation, I stopped using steroids because some of my follicles have been inflamed and I’ve had secondary infections twice now, so I knew I’ve had enough of steroid creams. I’ve been using Class 1 steroids for two to two and a half months straight, using up nearly 50g of ointments/creams. I’m currently on my fourth no-steroids day, and withdrawal has been quite bad (but I’m sure not as bad as the others, I try not to shower myself with self-pity), such as weeping sores, breakouts on other parts of the body, and depression. How long do you think I will go through withdrawal? A month? Two weeks? I’m not sure if I’m over-estimating or under-estimating my situation. Please help me make a more realistic timetable. Also, are there certain food that you should or should not eat when going through withdrawal? Since eczema has been passed on to me genetically, I know I should take extra care of myself to avoid breakouts. Lastly, what can I do to keep myself from scratching my skin at night? I’ve tried antihistamines, and it does help a little, but I still scratch at night. Hi Cat! Great questions. I’m giving a lot of advice on these topics (steroid withdrawal, eczema diet advice, and time-frame) to my subscribers. If you want to know more, feel free to join! You can do so by downloading any of the free guides on the site. You’ll become a Flawless subscriber, and I’ll send you some tips to help you get started. I have taken myself off steroid cream now for four weeks, very bad reaction on my back and less so on my arms, very hot in fact boil seem unable to sweat when I Iie down to sleep.Dr has put me on Diazapan for four ten days to help as I was not sleeping more than two hours per night.I have had eczema all of my life , almost 75 years. I have had it on my back and using Dermovate off and one for the last 5years.I did get my face cleared over 20 years ago when I took myself off Nerazone Oily Cream. (This has been taken off priscription in the UK) Many times hospitalized over the years since I was 14 year old.I shall be good to read your program. I have used a strong steroid cream (Ultravate) for one year on my hands. Also used one called desonate for my lip which only made it much worse. I have had eczema all my life on my hands but rarely have used any creams prescribed by doctors as they never worked. But this strong one did but at the time I had no idea about steroids or even that it was a steroid cream. When I quit using it I got hives all over my body for one month. The doctor gave me prednisone to clear that up. I was on it for 3 weeks all together and tapered off gradually. It took 2 weeks for the hives to calm down, the marks are still there. Now I have that burning rash all over my body. It doesn’t itch as bad as hives but it’s very uncomfortable and I’m miserable. Clothes bother it and the sun makes it worse I notice. Eczema came back bad on my hands. So how long will with withdrawal take approximately do you think. The hives were so bad I wanted to die, hope this rash doesn’t take too long or I can’t handle it. I have been trying to heal my gut for a month now and even that is not working. I gave up sugar, dairy, coffee, wheat, chocolate and alcohol. Make bone broth from organic bones and just having that with vegetables and meat. For over a year almost everything I ate caused my lip to burn. So I gave up most stuff. I will admit I have abused my body with too much sugar, then I feel guilty. If it gets any worse, I won’t be able to work and that is what I’m worried about. Who can afford expensive creams and diets when not working? I got to a naturopath who is making me detox my liver but can’t afford to go to her for much longer. I prefer to do it on my own. Thanks for your informative article. Hi Carol, thanks for sharing your story. For TSW each person is different, and it depends on how long you’ve been using creams. It sounds like you’re on the right track with eliminating eczema triggers (like dairy, sugar, etc.). You can also look into other causes of inflammation and eczema, such as hormonal issues or histamine intolerances. I talk about this here (hormonal) and here (histamine), hope it helps! Thanks, I am much better now. Because I stopped using moisturizers as I noticed they were just making me itchier and redder. After a bath and moisturizing I would itch worse, for hours and it was so red. So I got mad and stopped and within 2 days, my whole upper body shed all the dead skin and healed. It still itches but not as bad. Now I’m doing my legs as they were the worse, looks like elephant skin. Once you let them dry out, all the skin from the rash flakes off. Well mine did anyway, not sure about everyone else. I feel much better and able to go to work, but still can’t wear a bra as it bothers me so much. I will never use those creams again, I was using Ultravate for one year. I saw on line that it says not to use it for longer than 2 weeks. Well the dermatologist never told me that or the pharmacist. The dermatologist gave me a huge tube of it and a refill and said to use it all the time. I am so mad. And my doctor tried to give me more prednisone and I refused. She tried to push it on me, kept saying the hives might come back. Also I had eczema in my ears and the dermatologist said he couldn’t help me there. It’s gone now, before I went through TSW the eczema left on my scalp, eyelids and ears. Almost everything I ate gave me an allergy, now I seem to be able to eat much more without that happening. Both the doctor and my naturopath said I should be okay as I was tapering off the prednisone, but they were both wrong. I went through agony but only for two and half months, way less than most people whose blogs I have been reading about TSW. I feel bad for complaining since it was so short but it was a nightmare I wouldn’t wish on anyone. I was told by a guy in the health food store to take triple doses of Vitamin C with Lysine. That seemed to help. I also took herbal pills for the inflammation, Vitamin E, B6, Vitamin D, Zinc pills and I found something excellent that cured the eczema on my hands in two days. It’s called Clear 60 Ultra Gel and it’s made in Canada where I live. It’s synthetic free and organic, it’s made by bonding silver ions to water molecules. (something like that) and one application healed my eczema. It was amazing, it’s been 3 weeks and not a sign of the eczema on my hands. They have used silver in hospitals before antibiotics and penicillin were invented and they still use it to this day for burn patients. It was expensive, one small bottle for $46.00 but worth every penny if it heals so fast. You can order it online if you want it. It’s safe and sold in health food stores here. They have my testimonial on the website now. I don’t know but I would say their stuff helped me heal way faster. I bought some silver spray of theirs and spray it on my body a couple times a day. I also use Witch Hazel. Those two things seemed to speed up my healing once I started them. I really am impressed with the gel. You put it on your skin and do not rub it in. It can heal some eczema in 30 minutes. Mine was more severe so it took 2 days. You will see dead skin falling off, but it’s only dead skin and bacteria, I have talked to the scientist to makes it. He is from Europe where this stuff is common and legal to sell. Not so legal here unless you have a certain amount of silver in it, you can’t go over 22 or they ban it. His is 60 potency so at that strength it heals much faster. I do not sell the stuff and have nothing to do with the people who make it. I’m just so amazed that I want other eczema sufferers to know. My daughter who has eczema bought it, also my grandson. It’s amazing!! I have not had to reapply the gel once since I started using it. And another plus about the gel, it can smooth wrinkles. I haven’t tried it on mine yet as wrinkles don’t bother me at my age. But I might try it. Thanks for replying. I will read the link you sent. I got eczema at age 18 working in a dark room, over 40 years ago when we put our hands right in the developer and fixer, no rubber gloves. All those chemicals destroyed my hands. So mine is caused by that I think. But then I passed it on to my daughter and two grandsons. So it must be genetic as well. Forgot to mention, when I first got hives I went on a diet to heal my gut. I ate bone broth every day, made by me with organic bones. I also ate sauerkraut, kefir and a few other things that are supposed to help heal the gut. I am hoping that will work in the future for eczema. I just don’t know how long I have to do this gut diet for. I think the bone broth is helping, they say it will and I will continue to eat that the rest of my life, just not every day. Also what else can have to heal my gut? Some websites recommended L-Glutamine, which helps heal the gut fast but then other websites did not recommend it. I’m the manufacturer of Clear 60 Ultra Gel. I had no idea stores were selling it for so much. Carol was kind enough to relate her experience using the product. We cannot make any claims but there have been studies done indicating that Silver Ions induce apoptosis in mutated & senescent cells. Also there is no legal limit for Silver content unless it’s in a mouthwash, then it’s 400 PPM. I’m not trolling for business but I will offer a 15% discount to you unfortunate folks if you email me & mention Steroid Withdrawal. Our online pricing is not as ridiculous as the Health Stores, they’re reasonable. Until today I never realised that i suffered from RSS. I’m 34 and was diagnosed with eczema at just 6 months. I spent all of my childhood and many of my adult years on a cocktail of various steroid creams. The trigger for me to stop, wasn’t a realisation of the effects of these creams on me, I didn’t put the two together. For me the trigger to stop all prescription creams was caused by a very enthusiastic GP, with whom I had just registered. Having read through my very extensive medical notes, she had decided that I would become her new challenge, and she would become my savour and cure me. Little did she know just how true this would be. As she sat in front of me on this particular morning, she informed me that, although she could see from my notes that I had at some point of my life, already tried everything going. However, she wanted me to start back at the beginning…..to work through every treatment going, as she was sure that something had been missed. It was this that stopped me from going back to see my GP again. For the next 18 months possibly longer….It certainly felt like a lifetime. I suffered from the most painful days of my life. Days where I was only comfortable while I was in the bath…but being a single mother this wasn’t an option for me! Because if I didn’t move swiftly enough to take my seat in front of the fire, where I would sit and apply moisturiser, followed by a bandage to try and prevent my clothes from sticking to my weeping skin…I would begin to dry out!!! The best discription I can give you of this, is of a frog on a hot summers day, trying to get back to the pond!! Childbirth was nothing compared to the daily agony. After at least 18 months people that knew me, would comment on how well I was looking. Ask me how I’d made such a change to my skin. I just told them all, I’d given up on doctors! To this day I still have outbreaks, some are worse than others, but I’ve learnt my triggers, and how to reduce them. so even on a bad day, it no longer takes over my life! hi how do I subscribe, need ua help badly, depressed by TSW symptoms, im giving up. Hi Lycia, you can subscribe with this link. have been using betamethasone valareate for 9 yrs, I tapered de topical steroid b4 stopping n stopped completely for 1 month now.Suddenly I experienced acne, severe fatigue n weakness, n severe headache. Fatigue is gone but headache is there.Feel so depressed by my headache do u think I can die 4 using for 9 yrs.Is my life time short 4 using de steroid for 9 yrs.Ave been using sebamed soap and its helping me get my skin back to normal its a magic soap.De fact dat my face is improving can it ever change to worse or do u think it will improve 4ever.please help me im depressed. 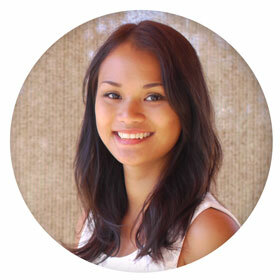 Hi Lycia, congrats on stopping the creams! It sounds like you’re going through the first TSW symptoms, and it’s completely normal to experience. Right now, I suggest focusing on finding out what is causing your eczema breakouts in the first place. You can do so by taking an allergy test or by eliminating main eczema triggers. Once you find out what is triggering your breakouts, avoid it and the eczema will start to improve. I also have a video series about all this, you can sign up for free on the site. Including the link in my other reply, I really think it can help you! Hi and thanks so much for your website, it has been invaluable. Do you have any advice about repeated infection? I’m not keen to keep doing rounds of antibiotics and get infection on my arms about a week after finishing each round. Hi Christina, can i translate your post? I’m from Brazil and there is no information about TSW. So i wanna help some brazilians with eczema. If you authorize i’ll post in a group and give to you the credits. Hi Christina, I recently came across your website as I had started the clean eating/ gut healing lifestyle about a month ago. I’ve quit smoking (Smoking since I was 16, and I’m 23 now), quit drinking, quit steroids and most of my triggers (I’m sure I have more but I need another more recent allergy test) all at once! My withdrawal symptoms were horrible, to be honest. My whole face swelled up, my arms are completely covered in bumps and a burning rash and it hurts to move often times because it’s covering about 60% of my body currently. I was on class 1 steroid for 2 years and class 4-7 since I was 7 years old. I never knew this information about steroid potency (in terms of the classes) until you made this article so thank you so much!! It’s really helping me understand why this is so uncomfortable for me. I’m happy to note that although my rebounding is going mad, when I scratch it during the night, it’s not as painful in the morning like usual. Painful, but tolerable nonetheless, as compared to when I was on steroids. It’s really hard to keep pressing on, like you mentioned in another article, but I know this will be worth it. Reading stories like yours get me through the day, every day. I just want to let your other users know that there will be a happy ending. I can already feel it. And a fair warning that when you feel like your best, to be prepared for your worse. The first week I had drastic results, I got up early in the morning in stead of sleeping in like usual, my facial skin was completely clear for 3 days and I was ecstatic! But then came the rebounding and it has been a bumpy road from there. I’m happy to report now that I can see healing. Although most of my body is covered in eczema still, the red, weepy inflammation is not present as it used to be on topical steroids, it’s mostly just dryness, small bumps and mild discolouration now! Thank you again for making this website, I found it at a time when I need it the most. You’ve really been a ray of light for me and I will continue with your program! Shout outs from Canada! Hey Stephanie! Thank you so much for letting us know how your progress has been. So happy to hear that my program and this article helped you — TSW is hard, so we definitely need all the encouragement we can get! It’s great to hear you’re finally at the last of it, keep going and happy healing! Thought i’d post my experience of RSS. I had problems on the lower reaches of my groin area a few years back and was prescribed some steroid cream. Over the next few years i used the cream on and off (including betamethasone valerate)but every time i stopped the next day or so the condition got worse, burning skin, red and moist skin (painful). After now reading several blogs on the condition it was clearly the steroid cream causing the problem not curing it! I found using any type of scented shower gel, or bubble bath irritated the problem and stung badly once the skin had dried. Also have been coming out with facial spots of late.. never had them in my life and now i’m now in my 40’s thought it was a bit odd… i’m sure it has all been related to steroid cream. Tip: Don’t use moisturizer as that also made the condition considerably worse but I have now found some respite and something to ease the condition, this is B5 Panthenol which is used for nappy rash, this doesn’t cure the condition but it has certainly soothed it in order for me to stop using steroid creams. The skin now feels uncomfortable occasionally but most times i don’t know it is there, at least it has got my life back from steroid cream over use, hopefully in time it will go away. Hello,i had a chemical burn on my face and then i bought a hydrocortisonw 17 butyrate and applied for a month.this is the biggest mistake i have ever done im my life.its been couple of weeks i stopped and i feel like my face is burning and its super dry.can anyone tell me how long will it take to recover my skin. I was on various cortisone creams since my teens (over 40 years). Only recently did I learn how they depress the immune system. So I stopped cold turkey. I discovered my hands healed fine (better than with the cortisone ) by using OTC antibiotic ointments like Polysporin!! I believe a lot of eczemas are really a result of bacterial infections. I also noticed healing when I took Clindamycin orally, for something else. I need my immune system to be working, so these cortisone creams were depressing it, making me unhealthier. I only wish the dermatologists had explained this to me. Never over those many years did they do so, and I saw many. Thank you for this site and good information! This is a great article, one i wish i had of found years before. My childhood was much the same as yours. I believe ive gone through about two major withdrawls and one minor one in my adult life. Bringing me to 41, with derms now switching their diagnosis to rosacea, even though i have the swelling like a band over my eyes and the bridge of my nose. Sick of it, ive long thought that i was feeding my skins addiction. I dont really use the creams much, but the reactions seem to happen in response to a few days of great skin, and no use of steriods. As well, my system is completely sensitized and i need to be on allergy pills daily to control my skin from opening. Allergy tests in the past of been positive for pretty much everything that i come into contact with. With very careful management for the past 10 years, ive made headway, but now i have strengthening reactions on my face. Interesting to note, in the more than 30 derms i have seen in my life, spanning four countries, i did have ONE, in Italy, tell me point blank i was addicted to cortosteriod creams. The rest of them, have discredited eachother, and disagreed with eachother for years. Its exhasuting. I have had excema all my life (53) used steroids all the time try to keep it at bay. Recently started with dry, itchy burning face with infection round my mouth and chin i went to doctor who said I had rosacea so had to stop all creams, day 3 now and my face is a mess burning and itcy have to keep put cold water on it nearly giving in to using my steroid but after read this will keep of them. What are your thoughts on the use of non steroid creams like Protopic? You are a beautiful person. You shared so much from your story to the world. As I read, it only felt more conversational. You are doing a fabulous job. I sincerely appreciate your time. Started TSW about 1.5 years ago. I had first flare for about 2.5 months, second flare a few months later did not last as long and am currently in a flare after having completely clear skin for about four months. I brew fenugreek seed tea (and also eat the seeds when they have softened) for clearing out gunky sinuses and discovered yesterday after doing the fenugreek for the sinus headache that the flare immediately started subsiding. It does make sense as fenugreek has anti-inflammatory properties! I also bumped up my salmon oil and ground flax seed in kefir, which I had gotten a bit lax on. I hope this helps someone! You’re such a sweetie, and all your advice is so helpful. I don’t know if you’ve posted about this previously, but can you give advice on how to repair wrinkled/scarred skin from eczema scars and weeping? I’ve been struggling with these issues, plus extremely dry skin, despite using the Eczema company creams and wet wraps religiously (along with a paleo-esque diet).